The Tomy Turnin’ Turbo seems to be the one everyone remembers, so let’s take a look at that one first. The classic dashboard, powered by those giant D batteries you never see any more, and featuring lights! A gear stick! And a looping track of a road! I’d love to give this to some of the kids of today and see what they make of it. As you can hear, there also appears to be some kind of rattlesnake trapped inside the game, too. ▼ Eyes on the road, kid. Eyes on the road. 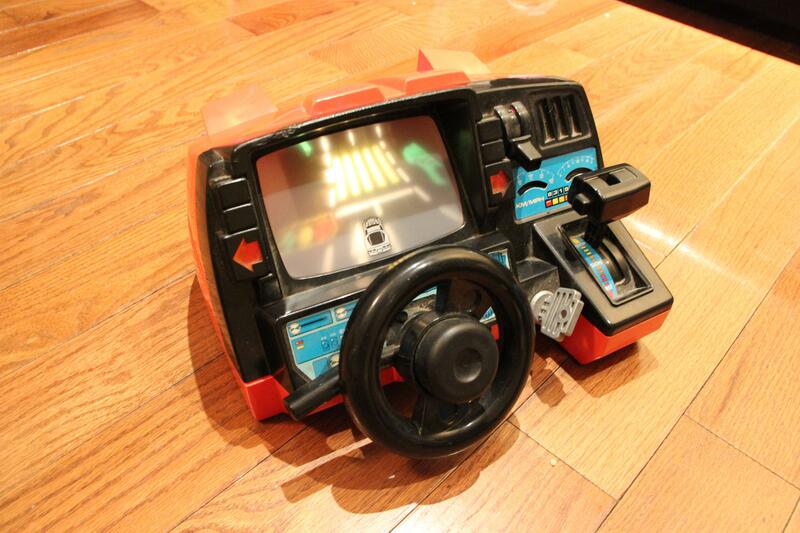 The Reddit user in question actually appears to have been in possession of the rarer Playmate 1985 Fun To Drive, which by virtue of being modelled on a Corvette, operates in a kids’ driving simulator class of its own! ▼ This YouTuber has giant hands. Either that, or this toy looks a lot smaller when used by an adult. One or the other. ▼ Oh, for the days when “A pre-school mechanical toy with light and sound!” was an exciting selling point. The pièce de résistance of Dashboard analysis, however, comes from YouTube funnyman and gadget reviewer Ashens, who offers up not only this full-frontal review of the Tomy, but also, once he’s gotten angry at the jammed mechanism and hit it a few times, an “autopsy” video in which he pulls the thing apart and shatters any illusions we might have been fostering about how it’s put together. ▼ Cover your eyes if you don’t want to know how that road track works. No digital screens here! ▼ “I fixed it!” declares Ashens, although even he doesn’t quite seem sure why. Because dashboard driving games use those colossal dry cells, they also come with the associated risk that if you pull it out of the cupboard after twenty years, the batteries might well have exploded furry gunk all over the inside. We’re sure many a childhood toy has met its end in that way. But have you ever resurrected a beloved game from your youth? Did it make you all warm and fuzzy inside, or had your memory deceived you? We’d love to hear your stories in the comments! My kids had a great time with a lot of those toys.